We are looking for enthusiastic, eager-to-learn doctors to join our state of the art rural hospital based medical practice. Join our dynamic team and assist with in-patient, surgical, casualty and consulting responsibilities. We have a 40 bed Private hospital adjoining the medical centre where we care for our in-patients and perform their surgical procedures including general, orthopaedic, obstetric, gynae, ENT, and urological surgeries. General practice in this setting is extremely diverse and challenging. 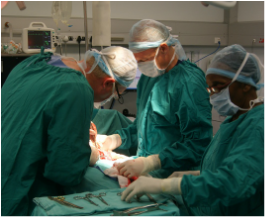 Surgery, anaesthesia, emergency and obstetric work are just some of the areas covered on a daily basis. However in a practice where no day is the same and where the clinical challenges are plentiful, teaching and stewardship are of paramount importance. Our team of seven doctors are all passionate about medicine and with over 100 years of combined clinical experience, the learning environment both surgically and clinically is truly outstanding. Formal clinical education is an absolute priority and we are eager to fund diplomas and short courses. Our practice is fully electronic with all patient records, Xrays, scripting and billing being done from fixed and laptop computers. All patient consultations, ward rounds and surgical procedures are recorded digitally, making excellent continuity of care a reality. If you would like diverse clinical exposure, a vibrant platform to grow and develop and significant financial potential, then this opportunity may be for you.